Artificial ivy walls can make a gorgeous garden even more beautiful. That said, ivy requires a lot of upkeep. That’s why many people opt for artificial ivy panels instead. Artificial ivy panels offer the beauty of the real thing without the need for constant care. If you’re thinking about adding these synthetic plants to your landscape project, our team at Watersavers Turf is here to help. Artificial plants offer many benefits in a garden. First, they can help you design a space to your exact tastes. For instance, maybe you want ivy walls to frame the garden path. Trying to keep them a uniform shape and size throughout the year would involve a lot of trimming. Artificial plants don’t require pruning, and they don’t need to water. 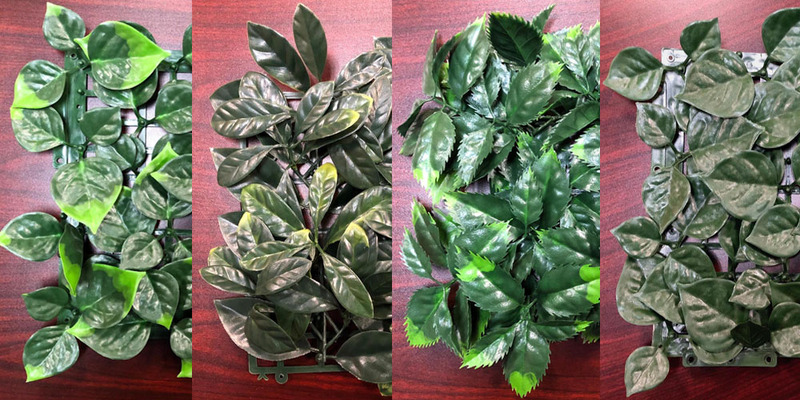 Installing artificial plants can save you a lot of maintenance costs. Faux plants are useful for landscapers. That said, faux plants can be particularly valuable if you’re on a budget. They let you design an outdoor area of your dreams at a fraction of the cost. You can spend the money you save on upkeep on other garden improvements, like a gazebo or water feature. You’ll find it’s easier to enjoy areas of your garden that have faux plants because they need less effort. You probably know exactly how you want your garden to look. Of course, having a goal is not the same as realizing that goal. Many factors affect the look of this space. Drought can deprive your plants of the water they need. High maintenance costs can limit your plans. In some instances, you just may not have the time to care for all your plants. By using specific synthetic options, you have much more freedom when planning your dream garden. That’s why plastic plants are perfect for both homes and commercial properties. If you have many different types of plants in your garden, arranging them into unique sections is often a smart way to show them off. Synthetic ivy panels let you create borders to define where the various areas begin and end. An outdoor garden offers you a gorgeous space in which to relax. You’ll find it’s even easier to relax when you have private areas. This is another way synthetic landscaping can help. With the right products, you can add private spaces to your garden that won’t require much upkeep. After all, it’s not easy to fully relax in an area if you see that it needs some clipping or watering. You may have arranged your garden in such a way that you want guests to follow a path through it. Using faux ivy walls can make your path more clear. Faux walls also give you more control over their experience in your garden. Are there certain flowers in your garden you’re more proud of than others? It makes sense that you’d want to display them in a manner that catches the eye. With faux panels, you can do so. Simply use these to frame the plants you want to show off. Guests will naturally pay more attention to them as a result. You may want to influence the way in which people experience your garden. Creating a beautiful entrance helps to set the right mood. You can use plastic plants to design an entry that mirrors the visual concept of a doorway, while also looking much more natural than a simple gated entrance. Are you ready to add artificial outdoor plants to your garden? If so, stop by one of Watersavers Turf’s SF Bay Area locations. Our experts will gladly supply you with the ideal artificial outdoor plants for your needs. Don’t worry if you’re not from our area. We also gladly ship our artificial outdoor plants to any spot in the Continental United States. Call us at 844-974-8873 if you have any questions. You can also chat with us online. Be sure to ask about our free estimates and samples!